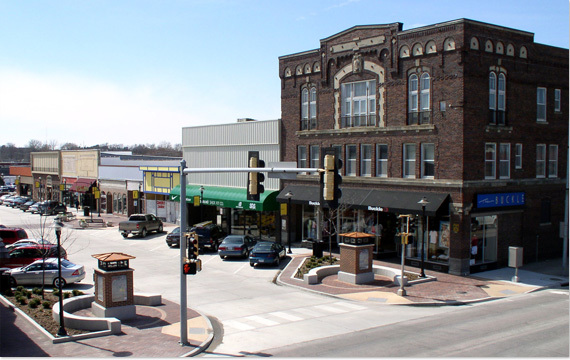 If you have new business plans in the Iowa area, Carroll, Iowa is the location to be. Many new, successful businesses have started in the last year, playing a big role in Western Iowa success. The classic advice "location, location, location" is right on the mark when it comes to having a successful business. Buildiing in Ashwood Business Park give your access to highway 71 and 30 and provides easy access to Iowa's Interstate 29, 35 and 80. A dozen motor freight carriers serve the area. The Union Pacific Railroad operates a main track through Carroll County. Arthur N. Neu Airport serves the area and is owned by the city. Another advantage to locating your business in Carroll, Iowa is the North Central Iowa Business Center which will provide free quality assistance to business owners to promote growth, expansion, innovation and productivity improvement. The cost of living in Carroll County is much lower than the national average. Locating your business in Carroll, Iowa will give your employees a comfortable place to live without costing them a lot of money. It is a perfect place to raise a family with plenty of parks, great schools, entertainment and restaurants. It is hard to find prime land in a great location when it is time to build a business or relocate an existing business. You don't have to look any further than Ashwood Business Park in Carroll, Iowa when it comes to the perfect location. Don't hesitate to contact us and inquire about building in Ashwood Business Park. We will be happy to answer any questions or concerns you have. Being in a business park gives your business the opportunity to be seen by traffic from the other businesses' customers. You business will draw customers because it is easily accessible and provides the customer safety upon arrival and exit. Ashwood Business Park will divide the land in a way that will suit your business needs. Your new business plans in Iowa will come off the ground easily and fast due to the fact that you won't have to wait for any utilities to be added. All the utilities you need are already there. Right from the start you will have water, sewer, and internet. The transition for your new business will be easy. Developing your new business in a business park is more cost effective and the space more affordable. It also gives your business access to other businesses which will get you more recognition. Ashwood Business Park developers have made the space even more appealing with beautiful landscape, access road and spacious parking. Your new business development in Iowa will be off to a great start. Our goal is to get our clients' new businesses development go smoothly. With our help and assistance, you won't have the headaches you would have if doing it all by yourself. We are here to help. This prime land in this prime location will go fast so if you are looking for new business plans in the Iowa area, contact us soon so we can help you get started. Visit our financial assistance page for information on how you can be assisted in getting your new business started.